Home > What’s the Wellness Difference? Pets bring us joy and unconditional love. That’s why they deserve a diet of the highest quality. Wellness® Recipes are formulated with wholesome and natural ingredients plus a boost of super nutrients including antioxidants, omega fatty acids, prebiotics and probiotics. And we never use any artificial ingredients, colors, flavors or inexpensive poultry by-product meals. 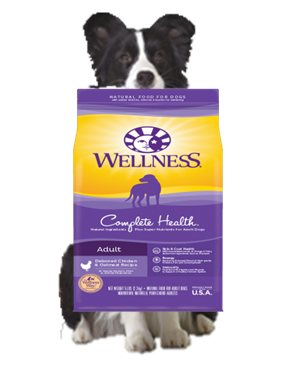 When expertly combined, the way that only Wellness can, the result is a natural pet food that truly delivers more.